While it doesn’t affect grapevines, it’s an interesting biosecurity issue for all primary producers to examine. Khapra beetle is a non-flying insect, originating in India but is now present in 75 countries across the Middle East, Asia, Africa and the Mediterranean. Movement vectors include items such as imported grain, foodstuffs, machinery, cargo, mail and travellers. Establishment of the pest in Australia could have severe consequences on export market access for our grains industry. 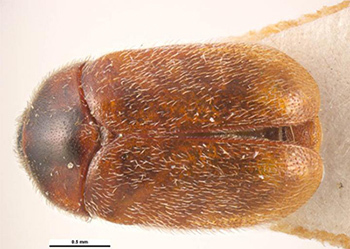 Adult insects are 2-3mm long, reddish brown, oval in shape and covered in fine hairs. Adult females lay 50 to 100 eggs at a time, and can produce up to nine generations per year. 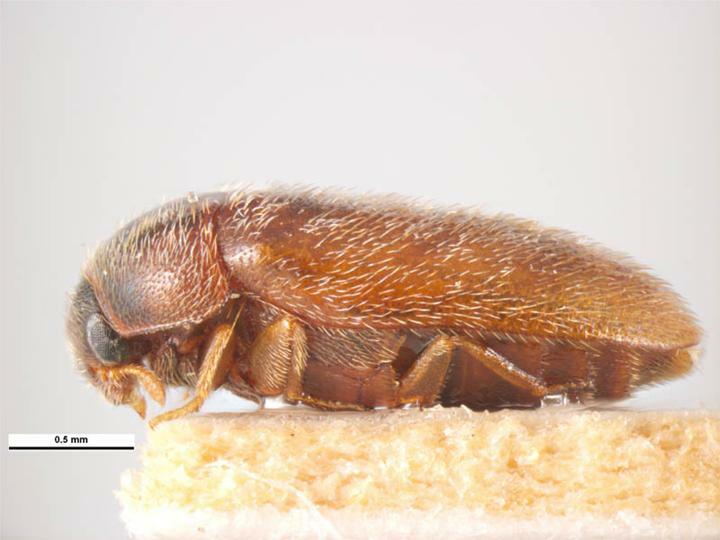 The Khapra beetle looks similar to many Australian native Trogoderma species, making it difficult to identify (Department of Agriculture and Water Resources). The Khapra beetle can reproduce rapidly in stored products under hot conditions where it can remain hidden for long periods of time, shedding its skin, which is a human health risk. The larvae are particularly tough and can survive dormant for up to two years. There have been incidences of Khapra beetles making it ashore in Australia. There was a discovery more than 10 years ago in Western Australia, but in March 2016, Khapra beetle larvae and adults were discovered in boxes of imported food grade containers in two locations in Adelaide and one on Kangaroo Island; all possibly linked to a contaminated shipping container. A fumigation program was successful in eradicating the adults and larvae, and a surveillance trapping program that followed found no additional insects, fortunately resulting in no change to Australia’s plant health status. “But the recent Khapra Beetle incidences highlight the fact that exotic incursions can and do happen in Australia and in South Australia. We therefore need to be vigilant, keep our eyes open and report unusual things,” says Vinehealth Australia CEO Inca Pearce.